A kind of new hot strip steel temperature measuring device has been designed. The mathematical model and the geometric model of the nozzle flow field have been established based on computational fluid dynamics theory. The impact of equalizing groove and nozzle structure on the nozzle system characteristics is researched in detail using fluid dynamics software FLUENT. The research results show that: the nozzle pressure groove can improve the gas flow properties of the nozzle and the nozzle can meet the design requirements. The nozzle gap, the inlet pressure of nozzle, the lower edge diameter of the nozzle, nozzle diameter and chamfer structure have different effects on flow field characteristics and nozzle flow. 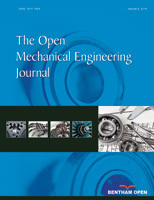 The study provides a theoretical basis for designing hot strip steel temperature measurement devices and the nozzle of purge.